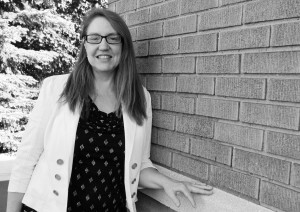 Rhonda Caudill - Marketing Manager - Stanton Architects, Inc.
Rhonda began studying Architecture at Portland State University in Portland, Oregon many years ago, but became an interior designer along the way. After a successful 20+ year career, she is finally finishing her Bachelor’s of Fine Arts in Interior Design at The Illinois Institute of Art – Schaumburg. She plans to specialize in Sustainability and also become LEED certified. Her hobbies outside of interior design include: reading, cooking, scrapbooking, jewelry design, two sons in college, a very small camping trailer, and one very large dog.